Culture Bore: Paraguayan Police State? 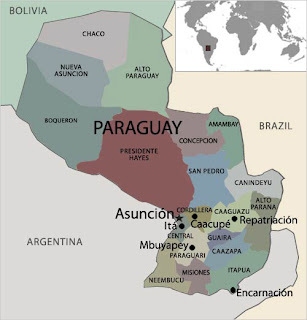 Paraguay has declared a state of emergency in 5 northern states to crack down on the Paraguayan People's Army - a group linked to kidnapping individuals for ransom money to redistribute to the poor. Under a state of emergency, the Paraguayan President will be able to order arrests and transfer suspects without court approval. The latest legislation also places limits on civil liberties such as the right to assemble, which would prohibit protests and demonstrations.